The time is almost upon us. It's the most wonderful time of the year. 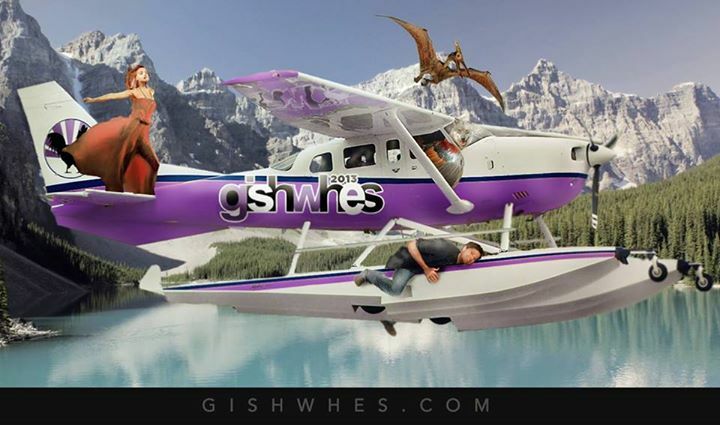 It's GISHWHES week! While the hunt itself is a lot of fun, it's also a lot of hard work and creative dedication. I am participating this year, with my most excellent team, Team AngrySandwich. Thanks to @mixeduppainter for the glorious (and highly accurate, scientific representation of our team). The fifteen of us will be doing insane things for the next week.While you will get to mostly sit back and enjoy (or regret) our lapse into frantic madness, there may come a time when I or my fellow Sandwiches ask for a little help. Maybe you live near something we need a photograph of. Maybe you know how to build a seagull out of sanitary napkins and this is how you enjoy spending Tuesday evenings. Perhaps you have some other arcane skill that we might be able to put to good use, and the good humor enough to share your time and energy. Who knows, you might just have some fun. I'll update our progress through the tweeties. There might be a LOT of tweeties, or not very many at all. GISHWHES isn't exactly something you can plan for in advance. Feel free to ignore us. Feel free to ask for updates. Feel free to jump in and rebel against normalcy with us. Just be warned, for the next week or so, for me, there really is nothing else. Hang on tight. This sounds exciting. Good luck at the scavenger hunt.